Here’s something of a novelty. Pete Sixsmith has never seen us play in Kent. He has, of course, been there. He’s even been to the Priestfield Stadium and seen Gillingham play. This is a new one for me. I have never seen us play at Priestfield Stadium, or indeed, anywhere in Kent. I missed the 9-0 win at Chatham in 1914 as I was too busy digging trenches in France in preparation for the outbreak of war. I ducked out of the visit to Gravesend and Northfleet in 1963 as I was helping Ringo on the drums at Abbey Road as The Beatles recorded Please, Please Me. For the dismal play off defeat in 1987, I was too busy advising Neil Kinnock on how to win the upcoming general election and I just couldn’t be bothered to go to the games in 2003 or 2004. Mr Zelig was taking a break. I would have enjoyed the 2004 game where we won 4-0 thanks to a hat trick by Marcus Stewart and a single from Stephen Elliott. I listened to the commentary while watching an FA Vase game at Ryton where the home team beat Abbey Hey from Manchester, 3-2 after extra time which was a bit of a turn up for the books as Ryton were two leagues below the Mancunians at the time. I saw the goals on whichever channel was showing the Football League highlights in that year (I think it was the BBC). Stewart put us ahead in the 4th minute and Elliott doubled the lead in the 17th. Three minutes later, we tied the game up when the Bristol Bomber got his second and his hat trick came in the 75th minute, to take us on a run that culminated in promotion at home to Leicester City and the title away at West Ham United 7 months later. There are some interesting names there. Simon Johnson had joined us on loan from Leeds United earlier in the week. He had a reputation as a bit of a flying machine but he failed to impress and he only made one league start for us. In the Gills team, there was the ever-willing Andy Hessenthaler (now manager of Stewart Donald’s former club Eastleigh), Iwan Roberts, a Welsh international with a teeth deficiency and Chris Hope. 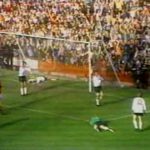 He makes my list because he is the son of John Hope, the former Sheffield United goalkeeper forever remembered for being on the receiving end of a piece of pure genius from George Best. John was a Shildon lad, attended the local Boys’ Secondary Modern, worked at Shildon Shops as a welder and played in goal. He was a big lad and a good keeper and Darlington took him away from a life of welding wagons, wearing overalls and doing all the things that men in Shildon got up to. He was signed by Newcastle, played once for them and then moved to Bramall Lane as a makeweight in the deal that took John Tudor to Tyneside. He played 63 times for the Blades before moving to Hartlepool United and then on to Whitby Town. He died two years ago at the age of 67 from Parkinson’s Disease and is still fondly remembered in his home town. Chris was born in Sheffield and went on to make over 700 first team appearances for Scunthorpe United, Northampton Town and Rushden and Diamonds. 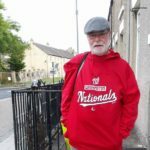 I bumped into him three years ago at Thrapston Town when I was on a Northants based groundhop. He looked fit, was still turning out for Thrapston and seemed pleased that someone remembered his dad who was struggling badly at the time. 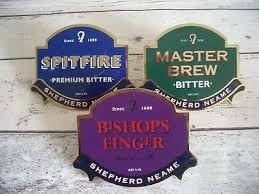 Like John, he came across as a decent man although I suspect he didn’t enjoy a drink as much as his old man did. I have been to the Priestfield Stadium. It was in 1994 and I was watching Durham play at The St Lawrence Ground in Canterbury and staying at the university. Having consumed a large amount of Shepherd Neame’s finest on my first night there, I decided to entrain to Gillingham the next night for their pre-season game against Arsenal. This was pre Arsene Arsenal. George Graham was still the manager and the team consisted of such English stalwarts as David Seaman, Alan Smith, Steve Bould and er, Jimmy Carter. The only two non-British and Irish players who featured for the first team were Danish midfielder John Jensen, he of the superb goalscoring record and a certain Stefan Schwarz who had joined from Benfica. They turned a strong X1 out which included Ian Wright and Kevin Campbell up front, Steve Morrow and Schwartz in midfield, Winterburn and Dixon, that well-known pair of country solicitors at full back and David Seaman in goal. I stood behind the goal for much of the game and marvelled that such a big man could be so agile. I still regard him as one of the best goalkeepers I have seen alongside Jimmy Montgomery, Gordon Banks and Lee Camp. One of those may be there to fool you. Arsenal won comfortably in front of a good crowd. They went on to beat Manchester City 3-0 in their opening league game with goals from Campbell and Wright and an og from Steve McMahon but had a pretty poor season, finishing 12th out of 22 and below QPR and Wimbledon. They even managed to lose twice to the Mags. George Graham was sacked because of the bungs scandal and they were put out of the FA Cup by Millwall. And still they moan!!!! It was an even worse one for the Gills, who finished one place behind Hartlepool United and one place ahead of Darlington in Division Three (was Four, now Two). The ground wasn’t great, consisting of an old main stand, a cow shed behind one goal and two uncovered sides. 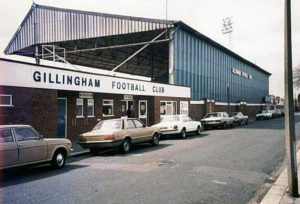 It has changed and, apart from the visitors’ end, is a modern and well appointed ground. Unfortunately, the visitors have to sit in a temporary stand with no cover so let’s hope that Kent and particularly the Medway Towns remain dry. I shall be there, the day after taking in Sheppey United v Deal Town. I am staying in Rochester for a couple of days and then moving on to Margate where I shall hope to avoid Tracey Emin. Then on to AFC Wimbledon, of which more later in the week. 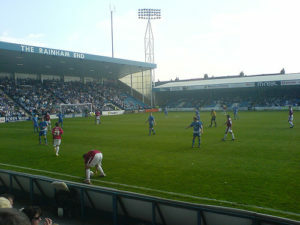 Photo of the Priestfield Stadium by Chris Matterface, The Rainham end by ChrisTheDude / IngerAlHaosului Both images made available through creative commons licenses. George Best video uploaded to youtube by SoccerLimey, 2010. If there is any copyright claim, not answered by ‘fair use’ exemptions, on the video and other images used to illustrate this report, please make us aware and we will add credits or remove as requested. I was at the 1963 game against Gravesend & Northfleet, and Trust me Pete, you didn’t miss much. 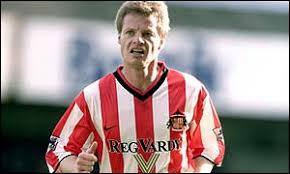 I was working at a hospital in Dartford at the time, and went with another lad who also supported Sunderland. It was a shocking game, played on a terrible pitch, and comfortably the worst display I’ve ever seen from Sunderland. We drew 1-1, but managed a degree of respectability in the replay at Roker, winning 5-2.